Does staying on top of your inbox and calendar stress you out? Thanks to Edison (formally EasilyDo), you’ll never have to worry about being late for a meeting or forgetting to respond to an email again. 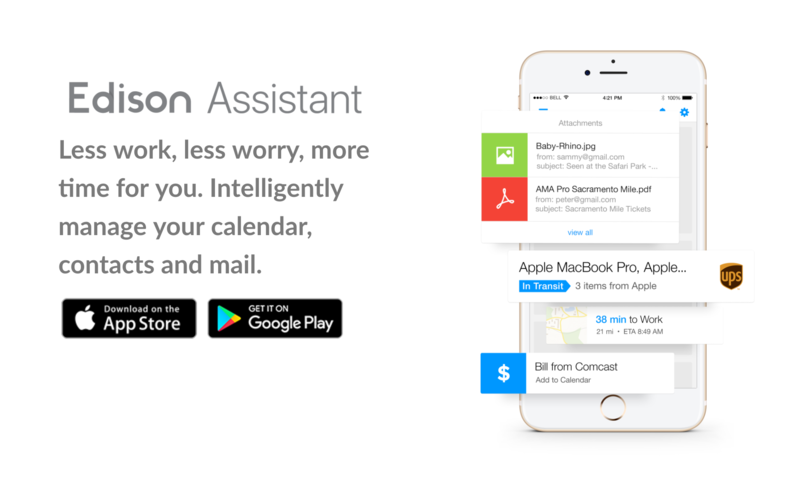 Edison’s award-winning virtual assistant organizes your work and personal life with over 40 automated features, including checking traffic so you know when to leave for meetings, auto-dialing in to conference calls and entering to-dos. Edison Mail includes additional features such as custom snooze, undo send, touch ID and more.